Gong Ji Chul, best known as Gong Yoo, is a South Korean celebrity who was born into an upper-class family from Busan. He was a model before starting his career in show business in 2000 as a video jockey on MNET. Later, in 2001, he landed his first role as an actor on KBS2’s television series School 4, which was followed by many guest appearances in various films and TV shows. Thereafter, Gong Yoo did a number of supporting roles in dramas and movies and also hosted music programs. His appearance as the main character on MBC’s romantic comedy The 1st Shop of Coffee Prince in 2007 became his breakout role. The popularity of the drama not only solidified his status as a leading man but also made him a Hallyu star since. He also experienced skyrocketed popularity globally with consecutive hit works in 2016-2017, such as the hugely successful zombie blockbuster Train to Busan, box office hit The Age of Shadows, and tvN’s massive hit fantasy-romance drama Guardian: The Lonely and Great God. In this day and age, it’s rare to find a celebrity who is not on social media, especially if they’re trying to break into the international market. 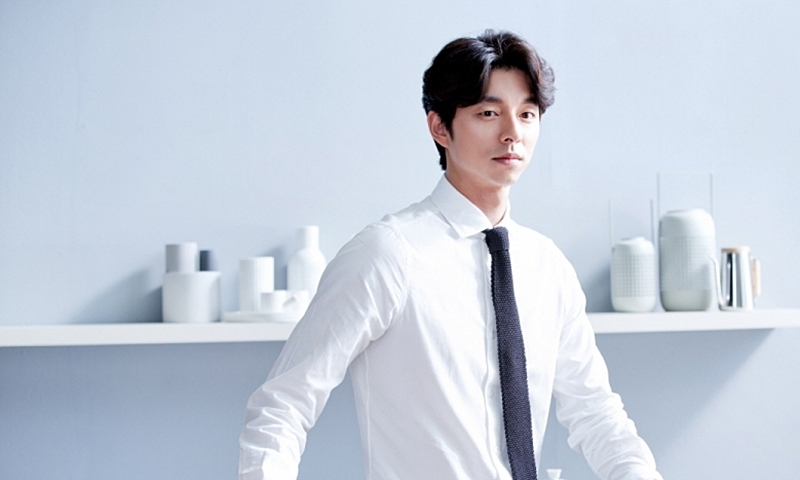 However, Gong Yoo is a popular actor who doesn’t own any personal social media. He once said in an interview that social media terrifies him because he thinks it’s a tool that makes people lonelier. “You feel insecurities you don’t need to feel on social media,” he said. But, you can still follow his updates on his official links below! Gong Yoo’s name is actually Gong Ji Chul, and the ‘Yoo’ from ‘Gong Yoo’ is actually from his mother’s family name. He thanked his parents for giving him good genes such as having a small face. Gong Yoo and famous actor Kang Dongwon are related by marriage through their family’s in-laws. It was revealed that both their grandpas are best friends from Busan. Their grandpas’ kids married each other. The married couple each had siblings, and those siblings are the parents of Gong Yoo and Kang Dongwon. To put it in simpler terms, if Gong Yoo had a cousin, his cousin would be first cousins with Kang Dongwon. Therefore, Gong Yoo and Kang Dongwon are cousin’s cousins to each other. He considers his two cats as family and even mentions them during interviews. He said that he would save his cats first if there were a zombie attack. 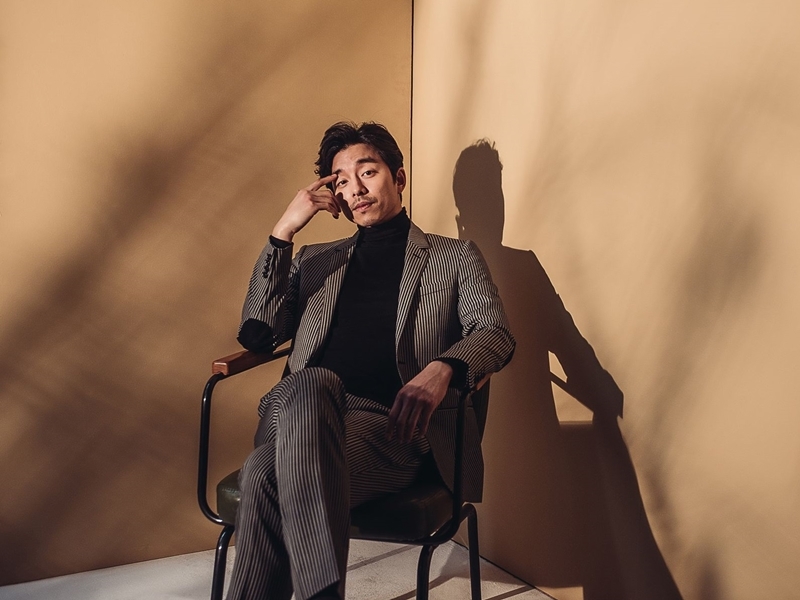 In 2017, Gong Yoo revealed in an interview that he is a descendant of the Chinese philosopher Confucius, same as actress Gong Hyo Jin. He debuted as a model rather than an actor, became very famous due to his sculpted body, and with his successful performances, achieved idol status. He even became a model in 2000 and 2003 for Andre Kim Fashion Show Fantasia (앙드레김 패션쇼 판타지아). At the peak of his career, Gong Yoo enlisted in the military in January 2008 and returned to show business after ending the mandatory service on December 8, 2009. He sang for the OST for Find Kim Jong Wook with the song titles “두 번째 첫사랑 / Second First Love” in 2010. He also released “A Letter For You” on his Japanese mini-album (2010) and “너라서 / Because It’s You” for BIG‘s OST. When he was a teenager, he wanted to be an athlete and was interested in advertising but never thought of becoming an actor. He likes baseball and is a fan of Lotte Giants. His father was an employee of Lotte Giants, so he went to Spring Camp to get their autograph. In an online poll conducted in South Korea recently, 2000 women were asked to pick their ideal Valentine’s Day date. Actor Gong Yoo was their No. 1 choice, followed by Park Bo Gum in second place and Song Joong Ki in third. He was chosen as an ideal type by actress Yoon Eun Hye. In an interview, the actor said that if he ever has a child, he would like his future wife to be like Suzy. When he was on Running Man, HaHa said that they were friends, but the others did not believe him. Then, they asked Gong Yoo, and he said he did not know him. But, the truth is that they are friends. In November 2013, the actor was appointed UNICEF Special Representative for Korea. Due to this appointment, the actor will visit different countries to raise awareness about the situation of children in underdeveloped countries. 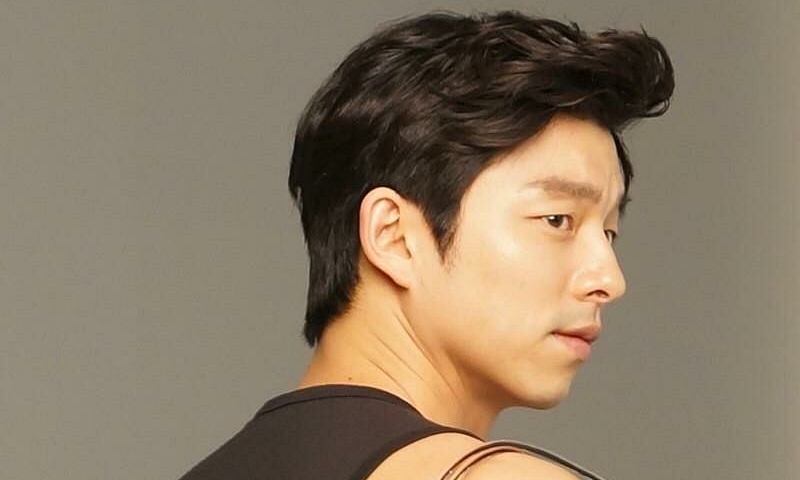 Gong Yoo went on a diet for three months to reduce his body fat. He learned the Russian martial art Systema for The Suspect‘s fight scenes back in 2013 and performed car chases, rock climbing, and skydiving at the Han River without using a stuntman. The actor and actress Ha Ji Won were appointed promotion ambassadors for the National Tax Service (July 7, 2014). Both received presidential mentions (March 2014) for having faithfully paid their taxes. For two years, both will model for promotional posters and participate in street campaigns to encourage the honest payment of taxes. He rejected the lead role (Yoo Si Jin) in Descendants of the Sun. Gong Yoo was one of many A-list Korean actors who turned down the role, with some stating reasons such as being uncomfortable with shaving their heads, not wanting to stay abroad for a long period of time, and filming a pre-produced drama (drama productions in Korea are filmed concurrently during broadcasting). He thought zombie and action films were a piece of cake, but he admitted that he struggled. There were so many times a zombie caught up to him while he was filming because he would hear the director yell cut and stand in place, but the zombie actors behind him couldn’t hear and would keep running after him. So, there are lots of behind-the-scenes videos of him looking pretty stupid. He revealed that he naturally gets scared easily. When he was young, he hated going to haunted houses. He prefers old Korean music like Lee Seung Hwan, Lee Moon Se, and Yoo Jae Ha. However, among the current musicians, he thinks G-Dragon and IU have really nice sensitivity. He misses walking around freely in crowded places and having street food without being disturbed. His daily routines for the past decade are exercising, listening to music, watching movies alone, and cleaning up his cats’ poop. 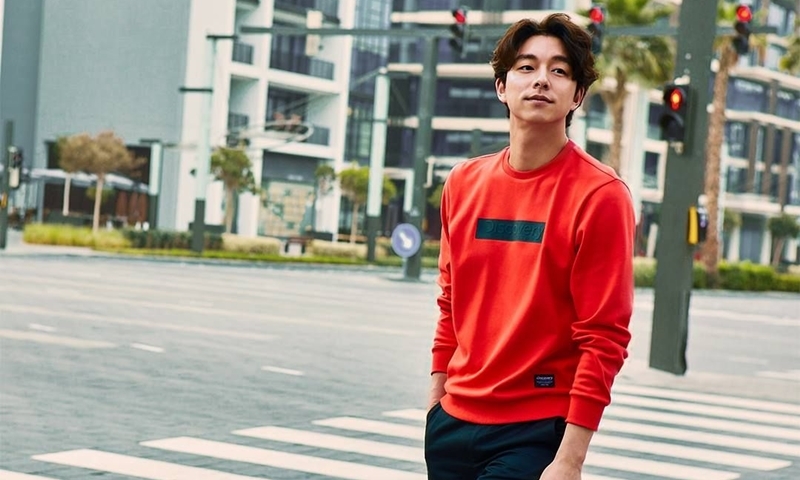 According to the results, actor Gong Yoo came out on top as the #1 male endorsement model with a total of 1,585,421 points in brand value. Behind Gong Yoo, the 2nd and 3rd place ranks went to two Daniels – Wanna One’s Kang Daniel in 2nd and actor Daniel Henney in 3rd (April 2018).